Ah, summer, where the days are long, the nights are longer …. and thousands of people gather together to chant up into the heavens. Well, at least they do on August 15—otherwise known as Chant at the Moon Day. The annual event was inspired by grower Stemilt’s premium moon cherries. These late season cherries are literally grown half a mile closer to the moon at elevations of 2500-3500 feet above sea level! Legend has it harvesting cherries just prior to a full moon make Stemilt’s moon cherries sweeter and more complex in flavor because the tree’s roots are benefitting from the extra gravitational pull from the moon. Stemilt decided all this sweetness needed a celebration—so grab your friends and let loose your best lunar cheer! Grab your friends for a late-night picnic under the stars. When you're all done feasting, you know what to do! Just make sure your crazy chanting doesn't disturb the neighbors. No Chant at the Moon Day would be complete without the fruit that inspired it. Gear up for a successful chanting adventure by eating sweet cherries as the moon comes out, and give thanks for all the wonderful fruit summer brings! 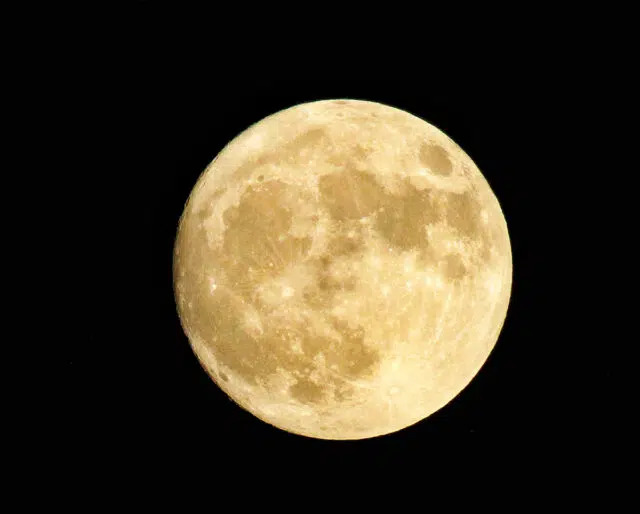 Do you actually know how large the moon is? Celebrate this amazing celestial body by researching some fascinating facts about our solar system. You'll amaze yourself—and more importantly, impress your Chant at the Moon squad! This is why Stemilt’s moon cherries are harvested so late in the summer. Due to their delicate nature, cherries are harvested in the early morning hours in order to maintain their luster. California and Oregon combine with the Evergreen State to make up 94% of the nation’s sweet cherries. That same cup of cherries has 3 grams of fiber, which aids in digestion, lowers cholesterol, controls blood sugar, and can help with weight loss. They also help protect the heart and its surrounding tissue. There's nothing better than those summer sunny evenings outside—but by the time August rolls around, we often take the season's temperate weather for granted and stay indoors all evening. Chant at the Moon Day is the perfect opportunity to get back outdoors and connect with nature. Cherries, peaches, nectarines galore! August is one of the last months to enjoy summer fruit (clearly the best fruit of any season). Chant at the Moon Day reminds us to stock up on nature's candy before we have to wait a whole year to enjoy it again.